For any info hit me up. 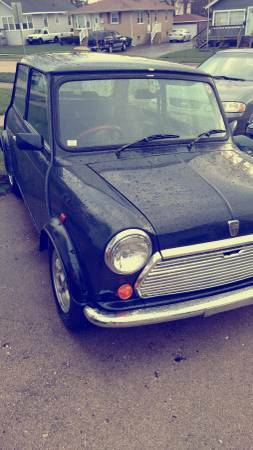 It is a 1990 mini 1000 auto RHD with A/C. Runs great. Drove it from Baltimore to chicago no issues recently. Turns heads everywhere. Needs minor stuff done but can be driven as is. Open to trades and offers. Nice looking classic Mini! Good luck with the sale! edit: never mind I see it in the marketplace! Anytime! And thank you for your compliment and business. Glad we could help you with your M3. Hope the classic goes to a good new home. Yes, I agree! 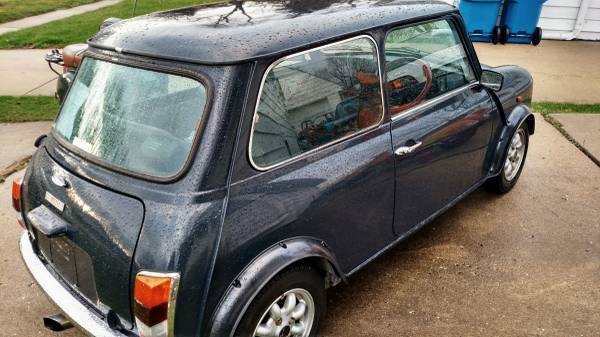 I believe a lot has to do with our suppliers having parts available for the classic Mini, but it is something we should consider.